Poznan was the first place we visited on our summer 2015 Eurail/Interrail trip. We spent 4 days in the city and loved it – here are 5 fun ideas on how to spend 48 hours in Poznan, depending on your travel style and interests! Amazing Rogalin Palace, an easy day trip from Poznan! 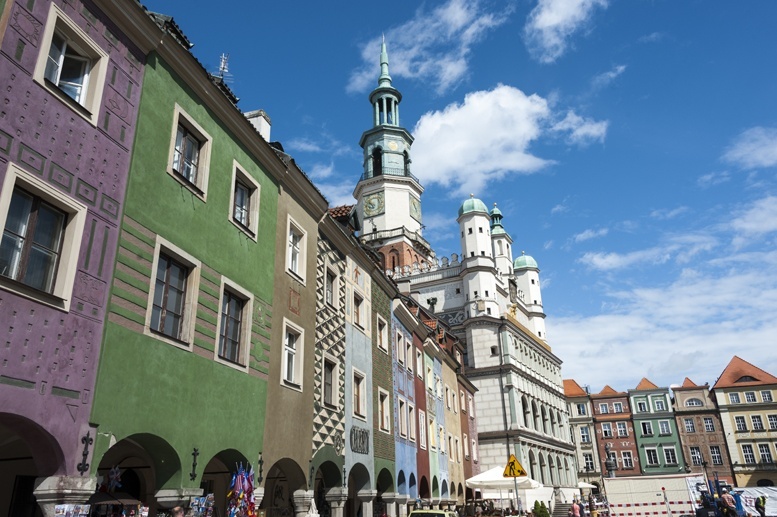 Have you ever considered visiting Poznan? Well, if you haven’t, you should. Poznan is normally overlooked in favour of mighty Warsaw and pretty Krakow, but it’s a haven for history and nature lovers, and for anyone looking for a blissfully tourist-free city. At first glance, Poznan looks like a medium-sized city with enough sights to keep you busy for a couple of days. 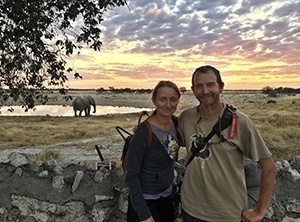 Delve a little deeper, and there are plenty of things to see and do – you could spend a week or even 10 days in the city and never get bored. However, a two-day visit (be it a weekend or a midweek break) is enough time for a first visit. We’ve planned 5 itineraries for 48 hours in Poznan. The first day is the same for everyone, and it includes two places that will help you understand Poznan’s history – both ancient and recent. The second day depends on your what you like. Are you a beer lover? 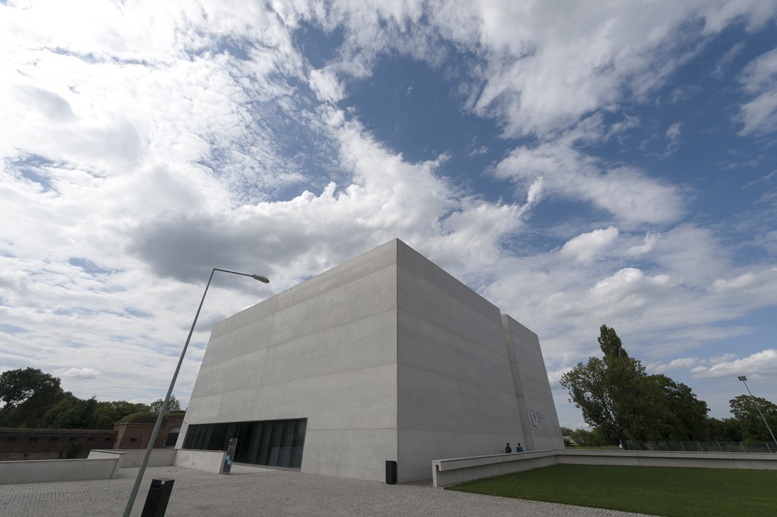 If you love history like we do, you’ll enjoy starting your Poznan exploration from Porta Poznania, an interactive museum taking visitors through the history of Ostrow Tumski (Cathedral Island), a tiny river island located at the confluence of the rivers Warta and Cybna. 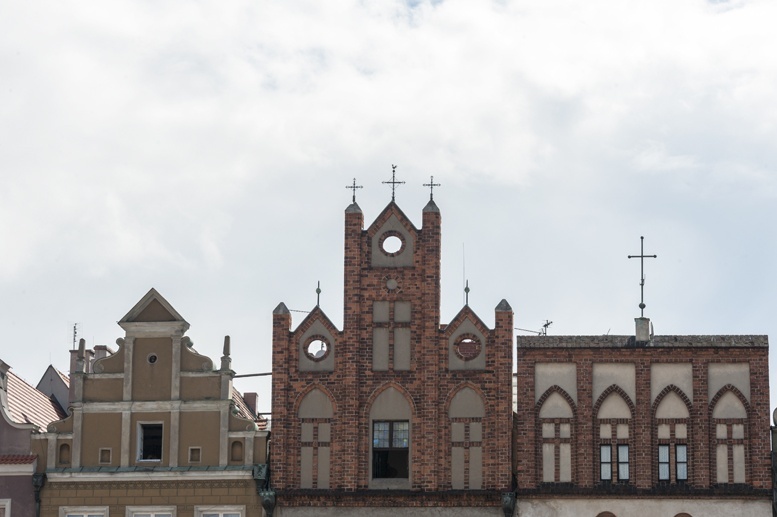 Ostrow Tumski is to Poznan what the Ile de la Cite is to Paris – except it’s not only the birthplace of the city, but of the whole nation. 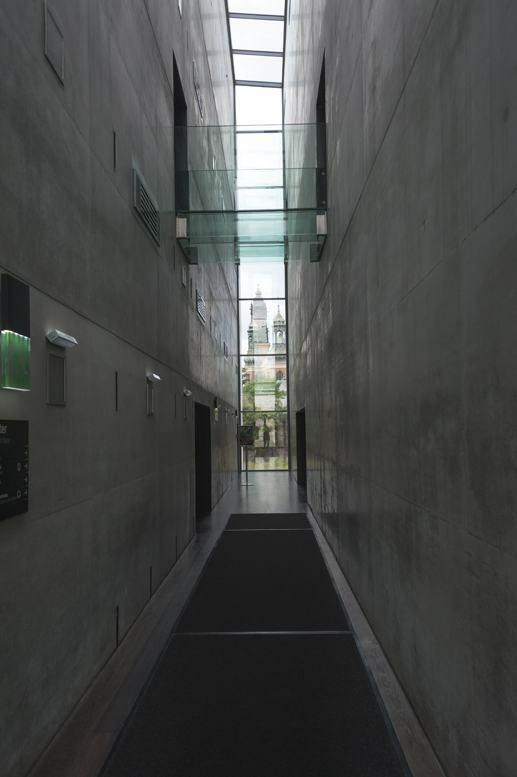 The museum takes visitors through the history of Poznan through a series of hands-on exhibits. The first room describes early Polish settlements, and includes a miniature reproduction of a medieval village complete with plastic bubbles, to allow people to stand with their heads in the bubble and get a close look at life in the Middle Ages. Every room illustrates a different historical era, with sound and light effects and interactive displays. The water room is dedicated to the arrival of Christianity to Poland, while the Golden room covers the period from the Renaissance to the nineteenth century – complete with a super-cool ‘costume room’, where a screen gets your measurements and then you can dress your very own avatar with a series of outfits from the era. 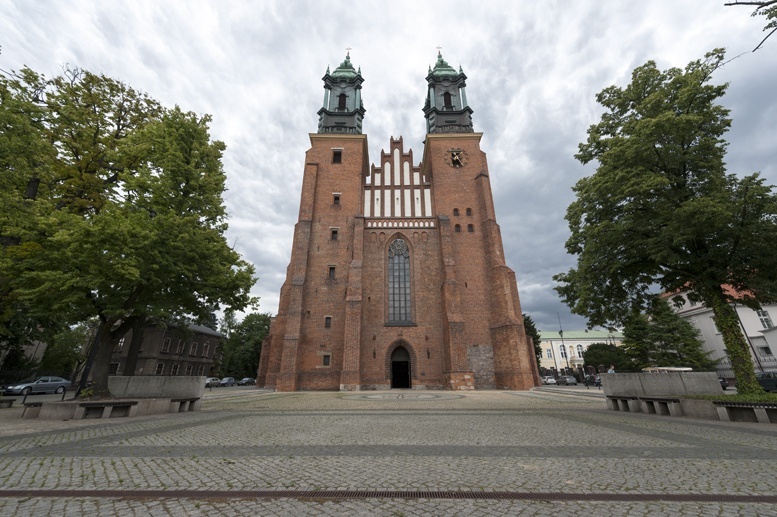 The Golden room also contains a replica of Poznan Cathedral’s Golden chapel, while the last room, the Stained Glass room, is all about the 20th century, and takes visitors through the WW2 and socialist times. 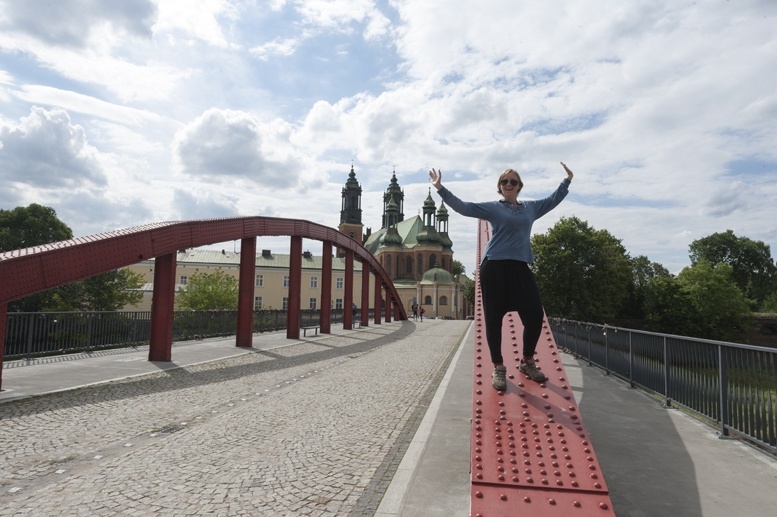 After visiting Porta Poznania you can get to Ostrow Tumski via a catwalk suspended over the river, and see the places shown in the museum in real life. Visiting the cathedral, after having walked through its reproduction and having learnt about its destruction and reconstruction makes the site really unforgettable. Visit Porta Poznania, learn about Poznan’s history and watch it come alive as you walk through the city. Ostrow Tumski may indeed be the nation’s birthplace, but it now lies a fair distance from the city center. 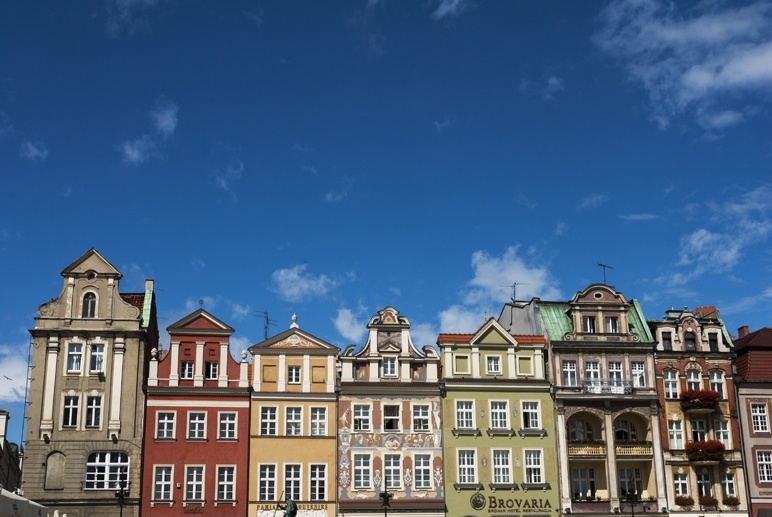 Poznan’s heart is Old Market Square, surrounded by dozens of colourful Renaissance-style buildings. Most buildings were rebuilt during the 20th century, after the square was turned into a pile of rubble during WW2. It’s a popular lunch spot – kind of touristy, but the beautiful setting makes up for it. At the centre of Old Market Square you’ll find the Old Town Hall. A small crowds gathers every day at 12 pm to see two mechanical goats bump each other’s head as the clock strikes 12 times. A legend says that once upon a time, a cook had burnt a roast deer for a banquet attended by Poznan’s General and other dignitaries. The cook caught two goats meaning to cook them instead, but they ran away and started butting each other’s head in the middle of the market square. This was one version. Another version said that the goats ran up a tower, alerting citizens to a fire that was quickly put out. Either way, the general pardoned both the goats and the cook. 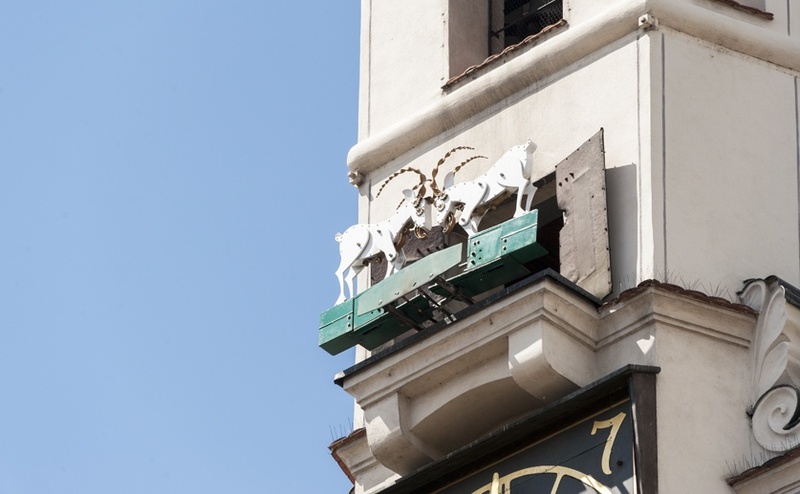 In any case, the two goats are now the symbol of Poznan. Wojtek, our guide from the Poznan tourist office, said that a few years ago he was asked to guide a British journalist covering a story about Poznan’s ‘ghosts’. Wojtek was puzzled – there are no famous ghosts in Poznan. It was only when the journalist arrived that he realized the misunderstanding. There are no famous ‘ghosts’ in Poznan – but there are two famous ‘goats’. A short walk from Old Market square you’ll find Poznan’s Imperial Castle, a building that looks unassuming from the outside, but contains the whole of 20th century history in its interior. 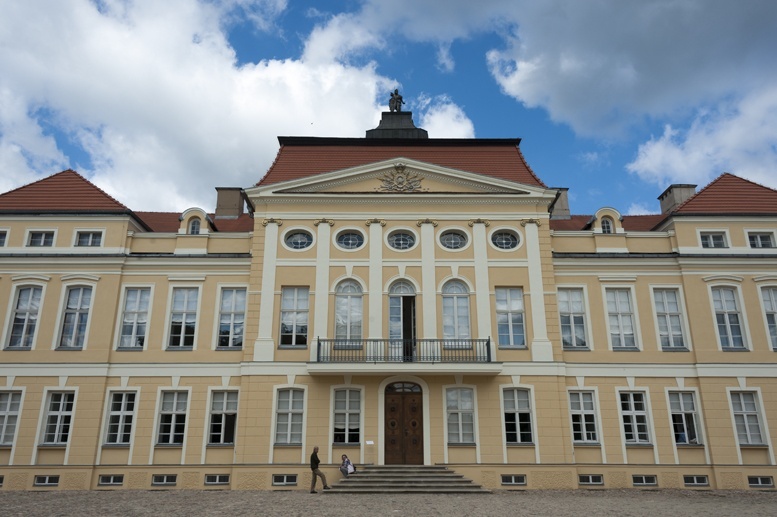 You can’t possibly make it justice with one short paragraph, so we wrote a whole article about Poznan Imperial Castle. We also warmly recommend reading up or joining a guided tour of Poznan castle, to appreciate its symbols and historical subtleties. If you are, in Poland you’re in good company! There are pubs and microbreweries of all shapes and sizes around town, but everywhere does these days. So, what’s the fuss? 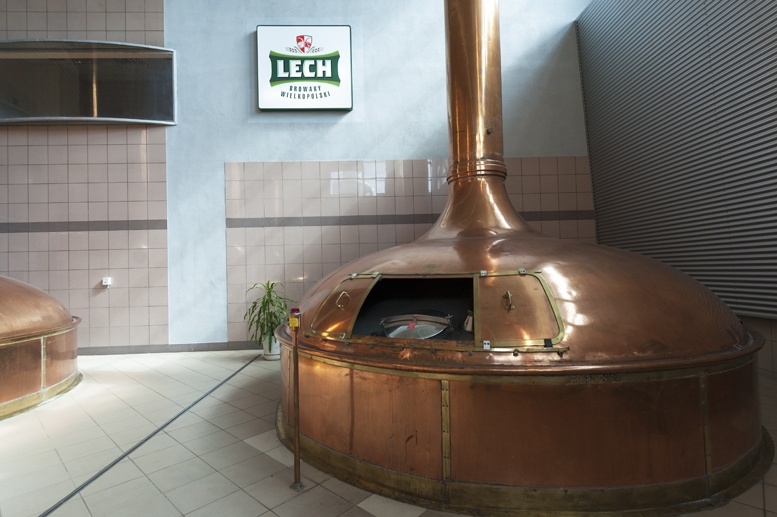 In Poznan, you can visit an industrial beer factory – the Lech brewery, owned by South African brewing giant SAB Miller, located in the outskirts of the city. If you’re planning to visit Poznan during the weekend, make sure you head to the Lech factory on Saturday, as it’s closed on Sunday. 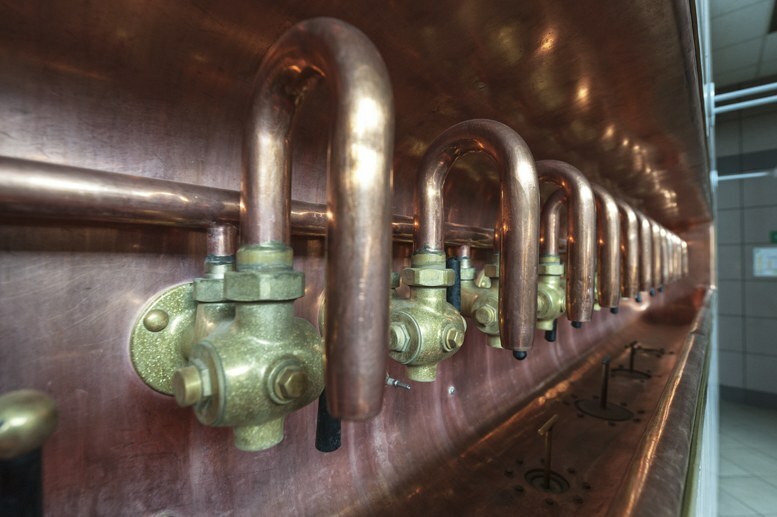 The visit starts in the fermentation room with gigantic copper vats, and an intoxicating smell of roasted barley and hops. Sadly, this is the only room where you’re allowed to take pictures – that’s why we don’t have any of the super cool bottling lines, where up to 60,000 bottles and 10,000 cans are filled every hour. That is a lot of beer! We learnt cool anecdotes, such as that there’s no such thing as one ‘beer taster’, because you can’t spit beer as sommeliers do with wine. If the job description existed, it would probably receive record applications! Instead, employees take turns acting as beer tasters, working on a rota and tasting beer for one hour a day when their turn comes. The tour then concludes with a free pint of Lech – which of course is even better than usual, after learning where it comes from. If you want to carry on drinking, head back to the city center and look for Setka, an underground (literally), labyrinthine (literally) establishment offering over 300 labels from Poland and beyond. It’s not the fanciest of pubs – you’re likely to be surrounded by a bunch of guys munching on a giant pizza. If you’re after something a bit fancier, or if you prefer a beer garden-like atmosphere, head to Chmielnik in the old town, serving a range of Polish beers including their delicious home-brewed Pils. if you’re travelling with children, or simply want to unleash your inner child, your best bet is heading to Malta Thermal Baths, a complex including indoor and outdoor swimming pools, water slides, a spa and lots of warm thermal pools. Getting there is half the fun. After crossing both Poznan rivers, the path goes along Malta Lake, Poznan’s outdoors central, full of people running, cycling and kayaking. On the far side of the lake you can see a hill with an artificial ski slope. We spent about three hours in Malta Thermal Baths but we really wished we had more time. It was chilly in the outdoor section, so save a couple of runs on the water slides we spent most of our time inside. I loved the ‘disco water slide’, with sound and light effects as you plummet down – the kind of effect shown in films when you travel between different dimensions. I would say that a full day is ideal to explore and enjoy Malta Thermal Baths, especially if travelling with children – there are so many pools, slides and cool effects like whirlpools and artificial waves that just a few hours will leave the kids longing for more. If you’re sans kids, make sure you include the spa in your visit – there are loads of different types of sauna, and even a ‘freezing room’. 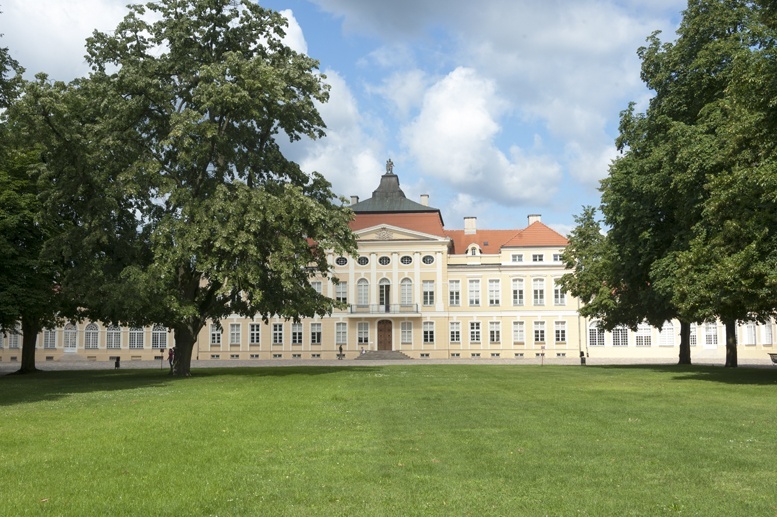 If you love nature, get out of the city and head to nearby Rogalin Palace, former home of the Raczynski noble family. The palace was built in late Baroque style at the end of the 17th century, and it was then modernised in Classicist style during the following century. During WW2, Rogalin was the seat of a Nazi detachment and all furniture and objects were lost afterwards. The last owner of the estate was Count Bernard Raczynski, who was president of the Polish Republic in Exile. At his death, he left the palace to the Polish people. 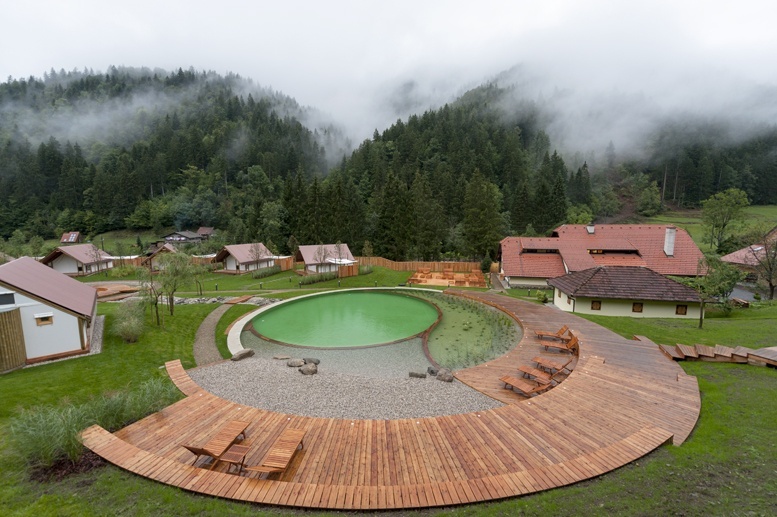 Last year, Rogalin was restored to its former beauty. 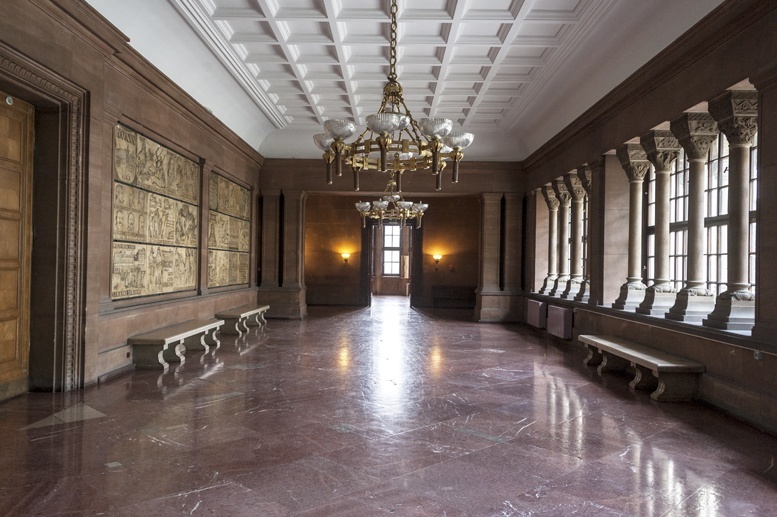 The furniture and decoration lost during the war were rebuilt by Polish craftsmen on the base of period photographs. You can also see the reconstruction of Count Bernard’s office in London, complete with raincoat on the sofa and newspaper on the desk. The castle is worth a visit to appreciate the exquisite craftsmanship and to get a glimpse in the life of a noble family throughout the 18th, 19th and first part of the 20th century. 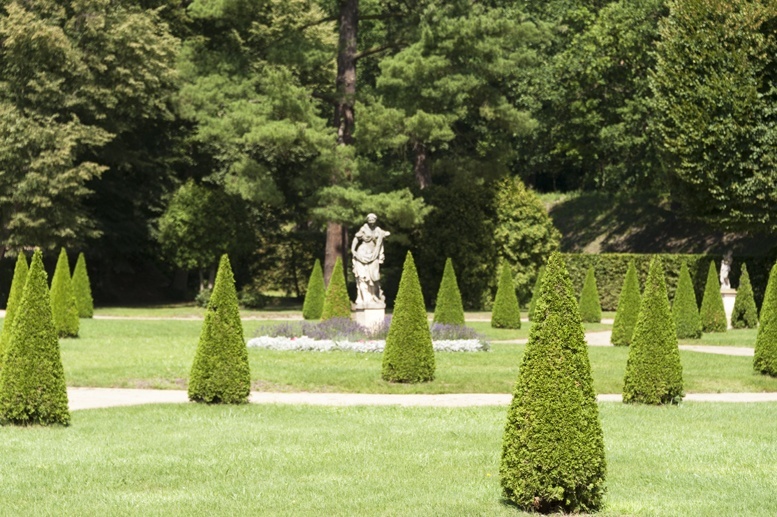 But what made the palace really special (at least, for us) was the palace’s landscape park. Near the palace we found some Italian-style gardens, but the further we got, the wilder they became, until we felt like we were miles from the city. 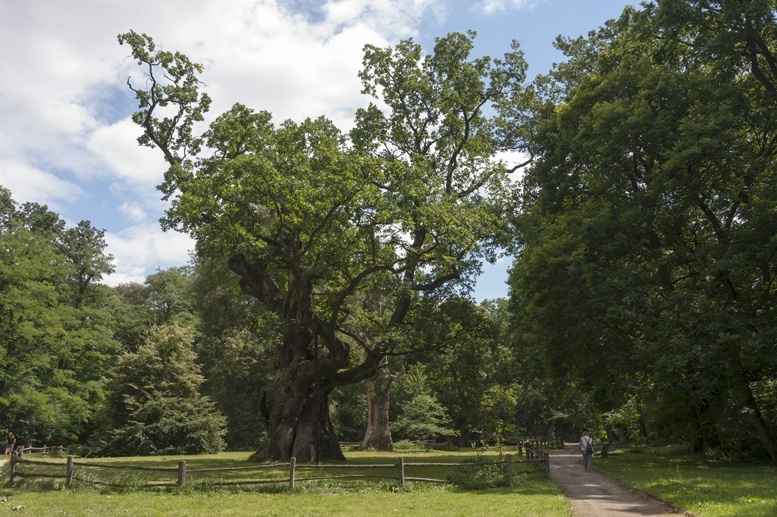 A not to be missed sight in Rogalin are three monumental oak trees, named after the three Slavic brothers Lech, Cech and Rus, the legendary founders (respectively) of Poland, Czech Republic and Russia. Some say the trees are 2000 years old, some say 1000 – in fact, they’re around 500-600 years. With their gnarled trunks and thick roots, they’re a mighty sight, immersed in the Rogalin nature. The first day in Poznan already covers quite a lot of history, but if you want more you should check out Cytadela Park, a huge city park located where Fort Winiary, a section of Poznan Fortress, used to be. Just a little historical background now. Poznan used to be under Prussian rule, on the strategic route between Moscow and Berlin. For this reason, the Prussians first surrounded Poznan with a ring of walls and fortresses around the inner city, and an outer defensive ring made of a series of separate forts. Some of the forts in the outer defensive ring can still be visited, but the inner city fortress was almost completely destroyed at the end of the 19th century, when development of heavy artillery made siege-based warfare obsolete. The only remaining part of the inner defensive ring was Fort Winiary, located on top of a hill overlooking Poznan. 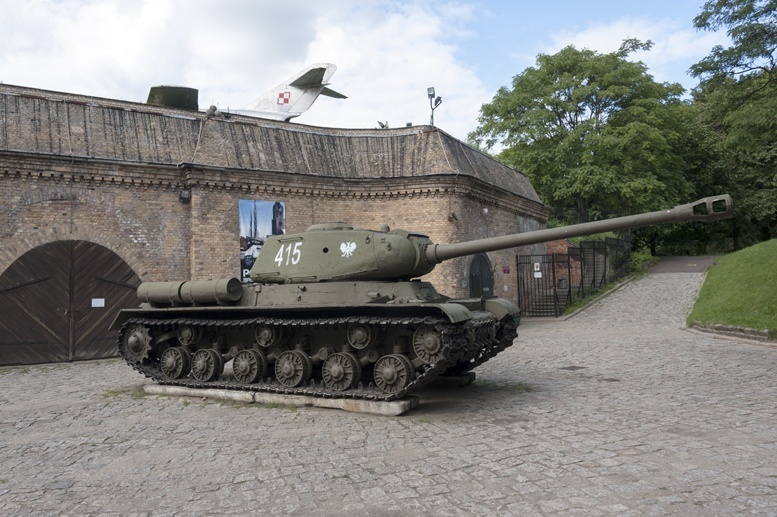 It was used for defensive purposes up until the Battle of Poznan at the end of WW2. 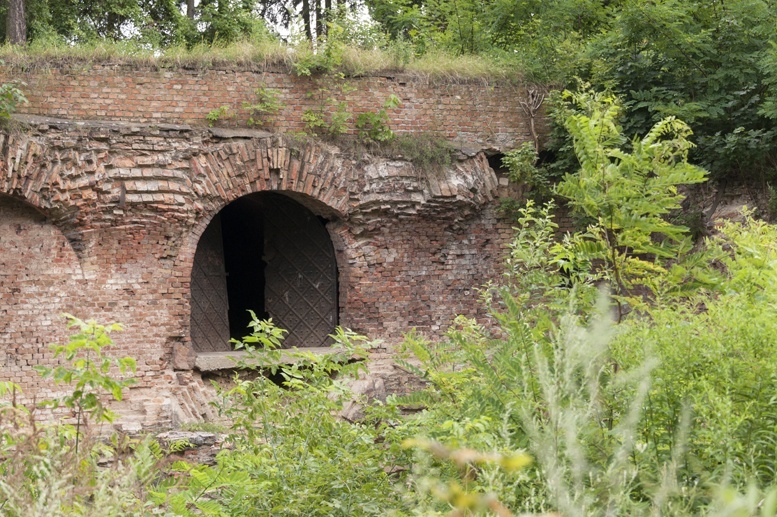 The last Nazi troops shut themselves in one of the former Prussian forts and from there tried to defend the city, until the Red Army’s victorious march. 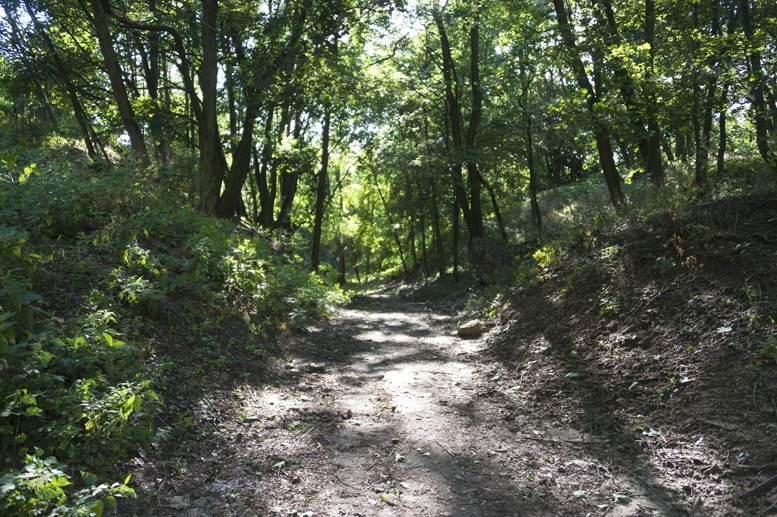 Nowadays, the ruined fort has become Cytadela Park, offering a unique glimpse in Poznan’s military history – and it’s a wonderful park to stroll around and get away from the centre. 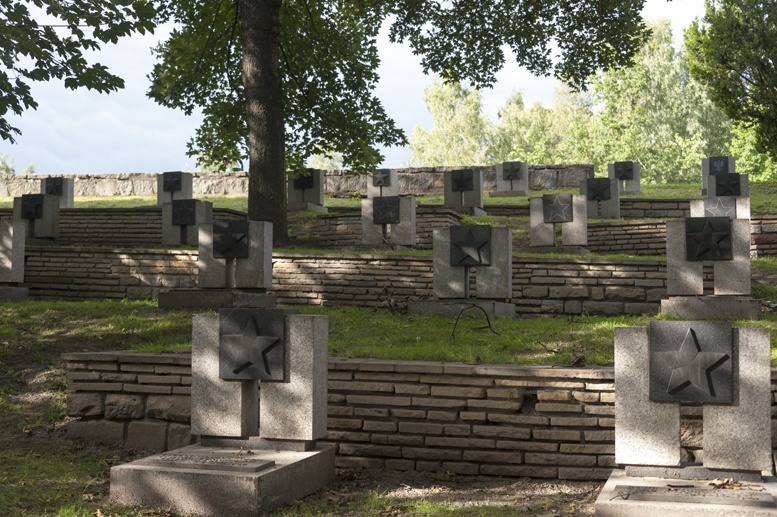 It contains the Polish, Soviet and Commonwealth war cemeteries – and we learnt that all Commonwealth gravestones are made from the same white stone from a quarry in England. 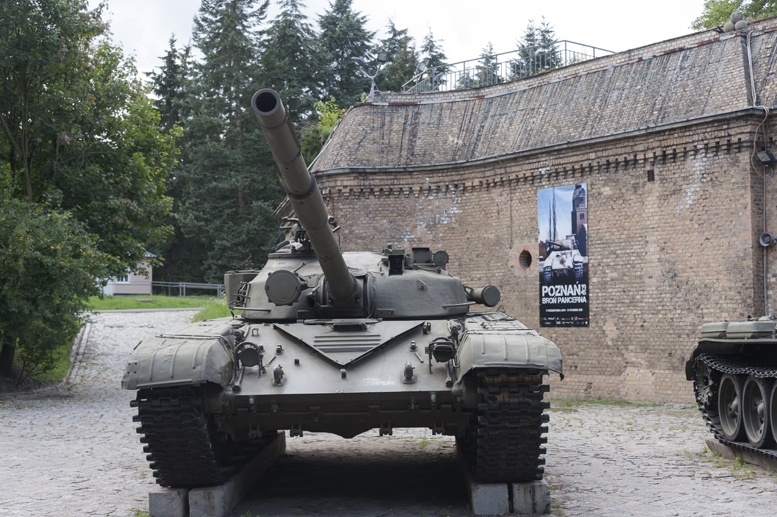 Another interesting sight is the Polish Armaments Museum – sadly, it was closed when we visited the park, but we could still glimpse huge tanks and heavy guns through the gate. Wandering around Cytadela, you’ll find the brick walls of the former fort – you can even enter in some sections, and experience the conditions where soldiers lived and guarded the city for two centuries. Behind the wall you can see war planes! Are you? Personally, I’m not. 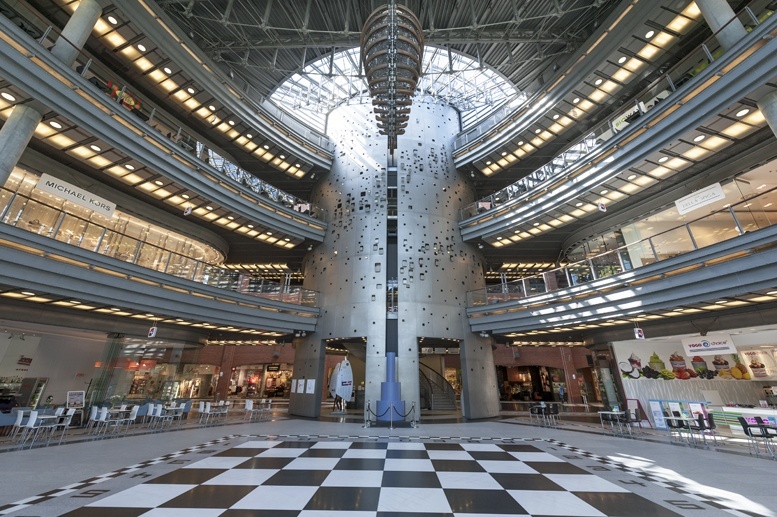 But in any case, you shouldn’t miss Stary Browar, a shopping centre set in a former city brewery. The original architectural elements of the brewery – like the original brickwork and chimney – were preserved beautifully, and the complex nowadays houses not only design shops, bars and restaurants, but also one of Poznan’s best design hotels. 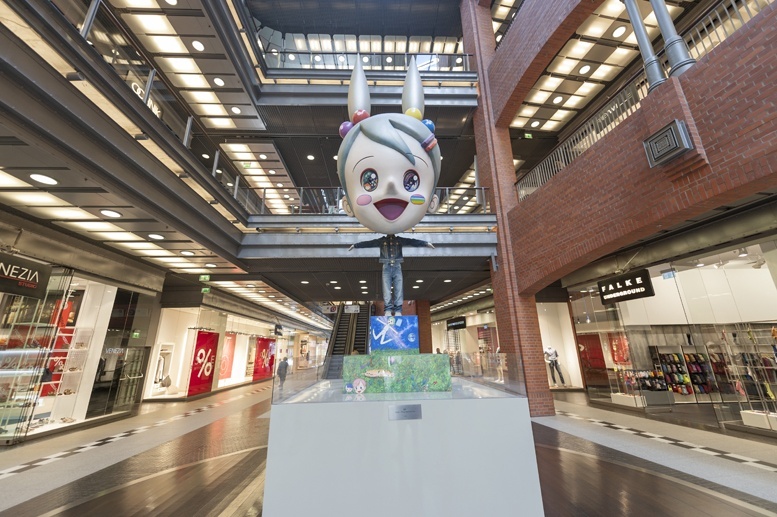 What makes Stary Browar really special, though, are the pieces of art placed around the corridors and halls of the shopping centre. 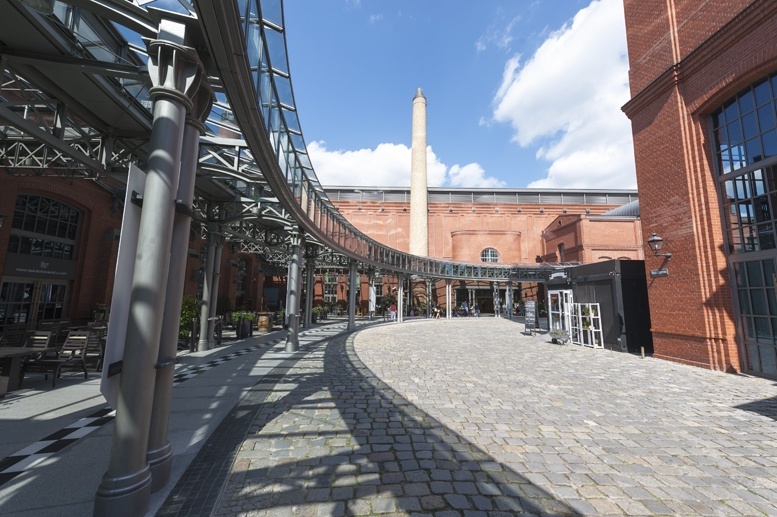 That’s what makes Stary Browar ideal for everyone; it’s a place where you can shop if that’s what you’re after, or you can tour the building and learn about its architecture and art, have a drink or lunch in one of the restaurants, or even just relax in the lovely park all around it. We would like to thank Poznan Tourism for having welcomed us on this trip. 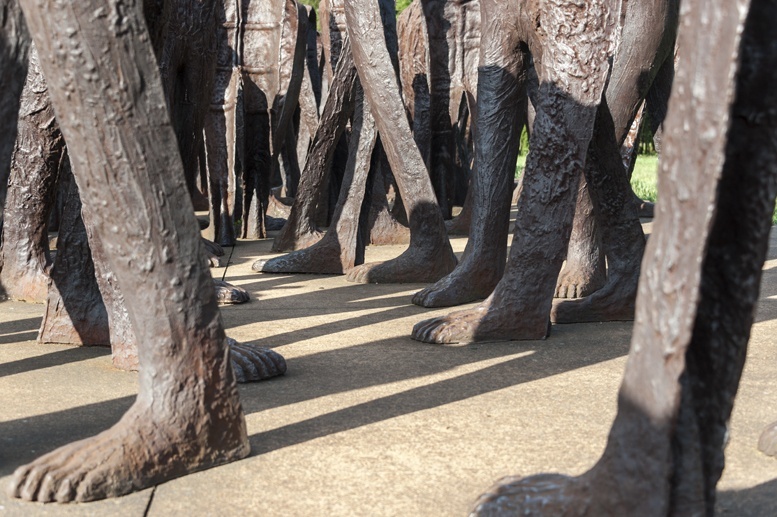 All opinions remain our own – but trust us, this town is well worth a visit! Great photos! I’ve never been to Poland, I’d like to visit Krakow but now having seen what’s Poznan like, maybe I’d visit it too! 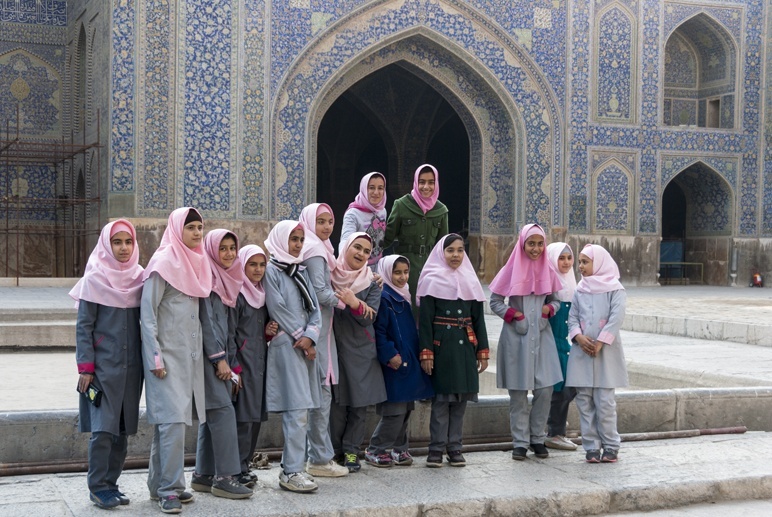 What a great read and photos about a fascinating place. If I ever make it to Poland, I would definitely want to spend some time in Poznan. 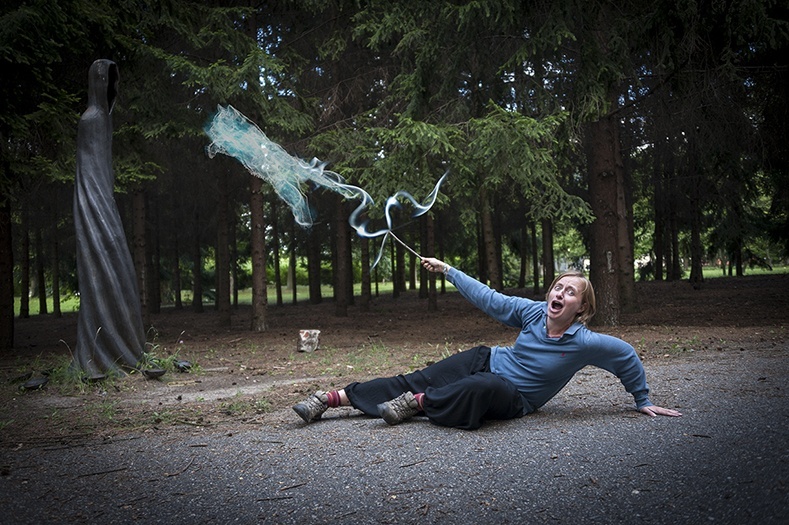 Loved your photos (especially the Dementors one) and how you made separate itineraries to satisfy different tastes. I would definitely be up for wandering the palaces and Cytedela Park. 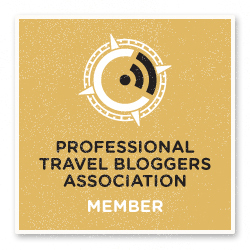 Looks like there lots of great things for every traveler in Poznan! Thanks Brooke! I loved Poznan so much and I’d love to return in winter. I’m sure you’ll love it too!